Time to kick to the curb boring green garbage bags. 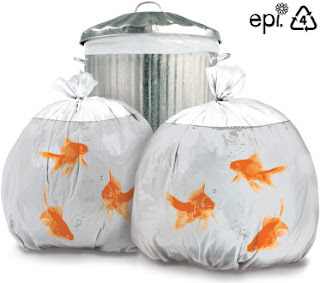 Check out these goldfish bowl trash bags instead. But will they deter raccoons?